It was a regular day at the office—I was stressed out about a deadline and had roots full of dry shampoo—when I made my way to the Nexxus New York Salon in TriBeCa. Thank goodness, I thought as I walked through the doors and into the spacious, brightly lit salon scented with Le Labo Santal 26 Candles ($75). Yes, dear readers, it was an Instagram dream world. I was led to the back for a protein treatment, head massage, and moisturizing hair mask. Talk about a mid-afternoon break worth taking. I admittedly put my hair through a lot, so this pampering sesh was greatly appreciated. Not to mention I was about to meet the woman responsible for the strands of Selena Gomez (and Cameron Diaz, Drew Barrymore, Leslie Mann, Olivia Wilde, and Reese Witherspoon). Basically, I couldn’t wait to sit with the hairstylist behind almost every cool girl in Hollywood. I met Lona Vigi, a bubbly, hilarious stylist who was just as down-to-earth as she was talented. (And man, was she talented.) After 30 minutes and a dozen laughs, I left the salon with one of the best blowouts… ever. My hair was textured, a little messy, and full of volume with curls that cascaded in a natural, effortless way down my shoulders. What was her secret, you ask? Well, besides god-given talent and years of practice, Vigi used a curling-iron trick that was genius. I couldn’t believe I had never seen it before. Keep scrolling for the hair hack that changes everything. 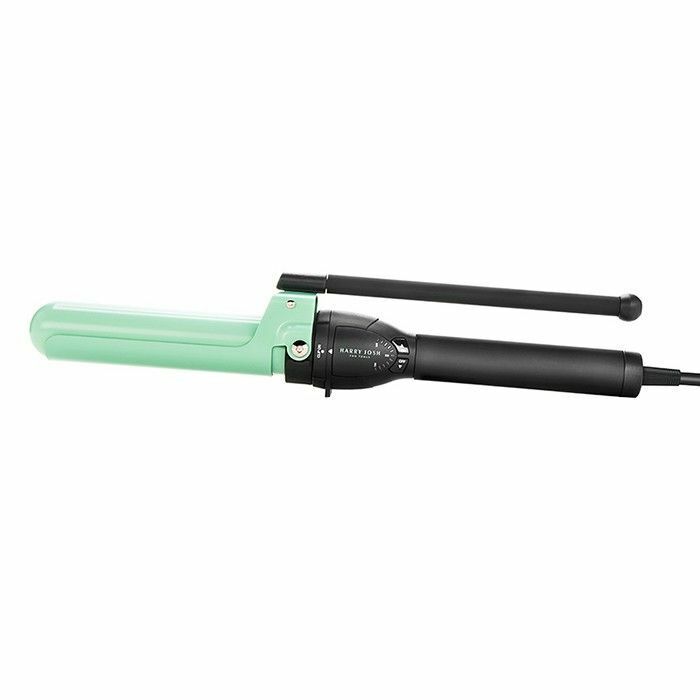 Okay, here it is: She uses two curling irons with different barrel sizes. Upon closer inspection, it did look really easy, even something a novice like myself could accomplish without too much practice. See, the genius idea behind the whole thing is that it’s not supposed to look uniform—so you can’t mess it up. So which curling irons are her favorites? I was taking notes at this point, naturally. When I pressed her about the best products, she explained that it totally depends on your hair type. But there are a few hero products she always uses to hold and define the wave. 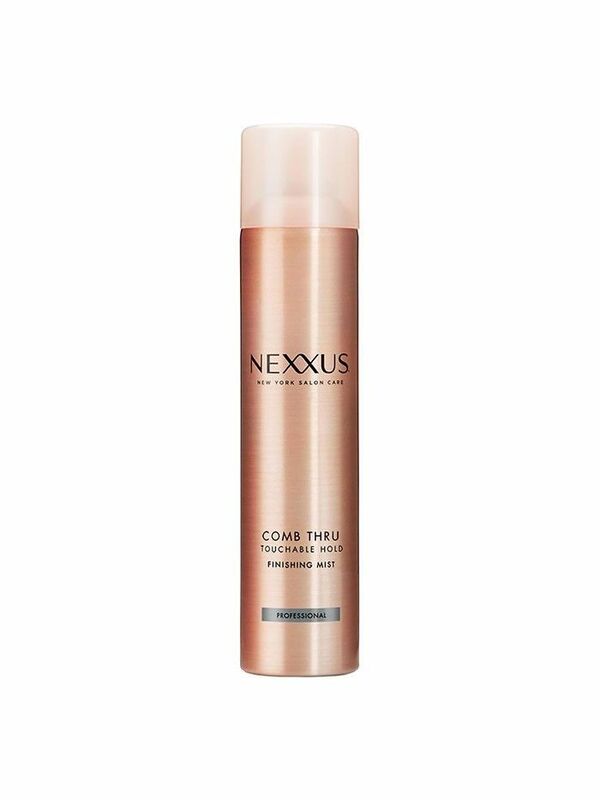 "I use Nexxus New York Salon Care Mousse Plus ($12) to add volume before styling, and on thicker hair, I like to add Nexxus New York Salon Care Oil Infinite Nourishing Oil ($19) to my hands or fingertips to tame any frizz," she shared. On my hair, she applied Nexxus New York Salon Care Expand Volumizing Whip ($35) before the blowout to add a (much-needed) lift at the root. We parted ways (Vigi was tired from waking up at 5 a.m. to work on Selena Gomez and was on her way to style Reese Witherspoon), and I definitely had an unprecedented pep in my step. And guess what? My hair didn’t fall flat—and garnered a ton of compliments—for six days straight. On the night of the sixth day, I reluctantly washed it and fantasized about how much of my paycheck I’d be willing to drop to schedule another appointment. Interested in more hair secrets? Read about why I wore hair extensions for nine years (and why I finally stopped).